From its heartland in central England, Mercia extends its reach to every corner of the island. As the most powerful of the Anglo-Saxon kingdoms, the Mercians dominate the land south of the River Humber. In the late 6th century AD, the five English shires of Derbyshire, Leicestershire, Nottinghamshire, Staffordshire and Warwickshire were united under a single leader, giving rise to the Kingdom of Mercia. Creoda of the Iclingas is most often cited as the first Mercian ruler and the founder of its capital at Tamworth. Yet opinion on the issue is divided; the Anglo-Saxon Chronicle does not refer to him as a king and some scholars question if he was nothing more than the product of a monk's fevered imaginings! Nevertheless, it is the Iclingas dynasty, beginning officially with the reign of Penda in approximately AD625, that has given rise to a period of untold stability. 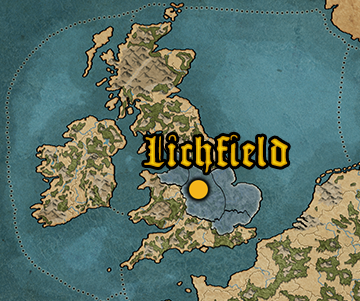 Although their line has been plagued by assassinations, betrayals and deaths in battle, the Iclingas have been able to expand Mercian borders to encompass most of the midlands and the south of England too. In AD757, Offa became king, following a civil war in the wake of King Aethelbald's murder. Consolidating his midland provinces, he looks upon the southern kingdoms avariciously, desiring to bring them under Mercian control. 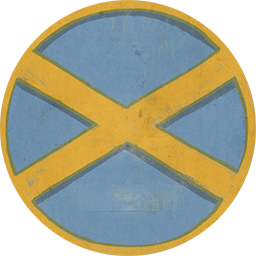 Respected by the Franks across the channel, and rightly feared by Englishmen everywhere, Mercia is poised to become the single greatest power in the British Isles - a single, united kingdom under the rule of a mighty king! When he deems it necessary, the nobles are the wisest and most qualified to counsel the king in matters of state. The House of Icel, from its capital at Tamworth, has unified much of central Britain under the Mercian banner; soon the entire island will follow! Emancipators: Doubled unit replenishment when taking on defeated troops post-battle. Extra income for every enemy unit destroyed.